Each varietal of our legendary tequila has been perfected with one Aztec god in mind, to achieve a singular goal: To honor the past while celebrating the present. Every bottle is made with only the finest authentic agave in small batches so that every sip tastes like a dream. Enjoy. Rabbits (or tochtlis) were symbols for decadence and keenly tied to pulque -- tequila's ancestor. Honor your inner tochtli with Atzo's Blanco. Xolotl was companion and guardian to the sun. In honor of him, we present you with man's best companion to the sun: Atzo's Reposado. Quetzalcoatl maintained the order between raucous earth and sky. In his honor, we present you with a perfect balance between our sweet agave and charred, aged oak: Atzo's Añejo. Dreams of Huitzilopochtli led the Aztecs to their capital. In the spirit of new frontiers, we offer you our first añejo aged over three years, in our signature charred, oak barrels: Atzo's Extra Añejo. Nothing but the best agave, from Jalisco's highlands. © Sueño de Atzo®. 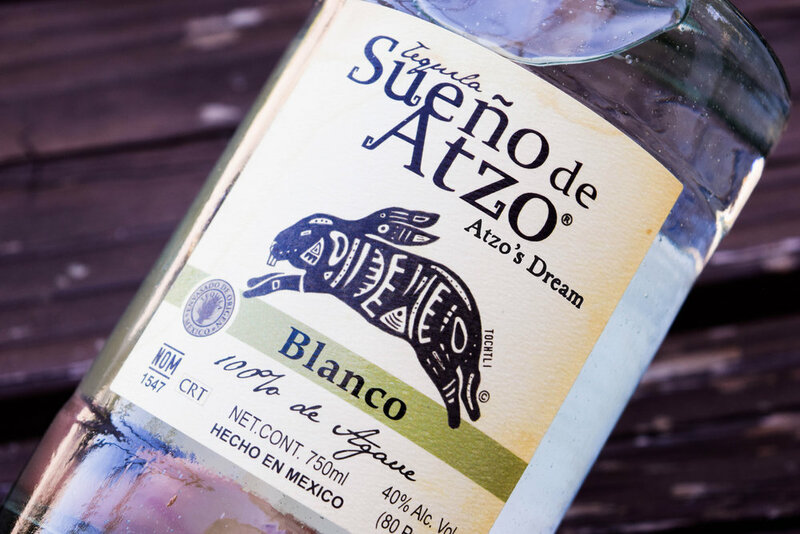 All of our agave is baked in traditional ovens for maximum flavor and depth.© Sueño de Atzo®. If you love and revere tequila, as we do, you might know about its humble origins as pulque, a fermented alcohol brewed from agave. What might surprise you, however, is the myth behind that origin story — a tale of joyous debauchery and ultimately a dream. Tezcatzontecatl was the Aztec god of pulque sippers everywhere. Primarily, he supplied an endless parade of drinks to the Centzon Totochtin, four hundred rabbits known for their partying ways. But pulque wasn’t enough and Tezcatzontecatl — nicknamed Atzo — dreamt of a spirit that was so velvety and rich that the party (and his legacy) would go on forever. We’re proud to say that we share the same dream and in 2016 — inspired by family and this legacy — Sueño de Atzo® (Atzo's Dream in English) was born. We aspired to make a product that people would love, as much as we would love making it. Atzo's Dream features a hand-worked decanter, laden with unique hand-drawn renderings of Aztec gods, signed by the artist. From our family's heritage to your family and friends — we make sure that every bottle is made with only the finest authentic agave in small batches so that every sip tastes like a dream. add Atzo's Dream Tequila, grapefruit juice and lime juice. Top off with club soda. Sweeten to taste. Shake lime juice, Atzo's Dream Tequila, and Spring water with Agave Nectar.